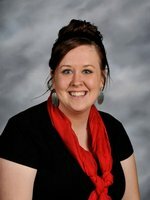 Jessica Haskins has been LFO's Communities In Schools' Site Coordinator for 4 years now. She works with students for a variety of reasons, from basic needs, to tutoring and/or mentoring. She is a graduate of LFO, and takes pride in being a warrior for life! Communities In Schools in a nation wide non-profit organization that believes with the right support from their school and community, students can stay in school and achieve in life.